Another Saturday, another Review Roundup. It's a calm and subdued Saturday here at the den. Just chillin' for a cool, December day. So, let's just head over to today's articles. We've got: Rise of the Kage, Imhotep, Arkham Horror: The Card Game, Conan the Board Game Review, Dominion: Empires, Dicey Goblins, Theomachy, Microfilms, Clank!, and The Amberden Affair. 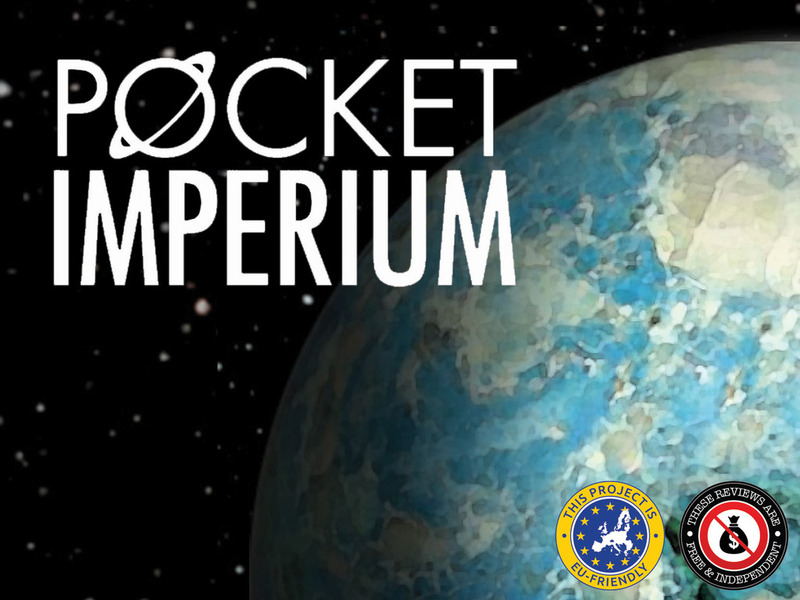 LudiCreations is in their final couple days for their Pocket Imperium Kickstarter campaign. In this quick-playing (30-45min game), players are looking to build their fleets of starships and expand out into the galaxy, taking over resources from their opponents in the process. There is no luck element in the game (no dice or card flips), just strategy. 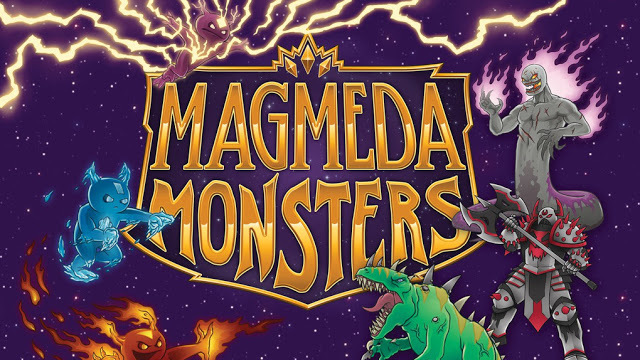 The game is around 2.5x funded and has right around a week to go. 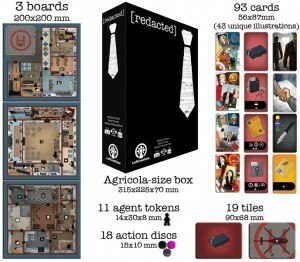 LudiCreations has launched their Kickstarter campaign for , their spy board game of intrigue, secrecy, and subterfuge. In the 45-60 minutes of , each player must take actions, use items, and interact with other players while in the hunt for intel. Each agent has one or more partners, and must find them - while outwitting the enemy agents. On a player's turn, an agent may move from room to room of an embassy, while a gala reception is taking place, looking for the intel that the ambassador is trying to sell. Once found, it must be extracted safely. Failing that, an agent must stop the enemy from doing the same. For security reasons, the true loyalty of each player is hidden, even from their teammate. Players will have to obtain information the hard way, interrogating or hacking each other, in addition to using items and their surroundings to gain the upper hand. LudiCreations has launched a Kickstarter campaign for Town Center's 4th edition. They've already doubled their funding goal with still 30 days to go. Town Center has been through a lot. It has been done in tiny 10mm cubes, in Lego bricks, in big 16mm cubes, even in giant 30mm cubes. Now, it is time for the game to reach its full potential, and be published for all to enjoy building their city, growing it to become a mini-metropolis. 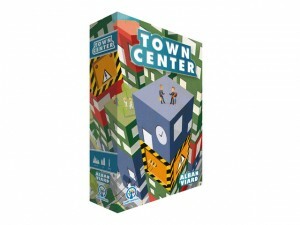 Town Center could be the best adaptation of a city-sim computer game, *and* a fun, challenging board game in its own right. With your support, we have the opportunity to create a living game that fulfills Alban's vision for everything this fine specimen of European game design can be.